Comedian and political novice Volodymyr Oleksandrovych Zelensky secured the most votes in Ukraine’s presidential election but fell short of the majority needed to win outright in the first round, early results and exit polls suggest. As the country of 44 million picks from a field of 39 presidential candidates, Zelenskyy has consistently polled at the top and should be assured of reaching the run-off, where he is projected to defeat both incumbent Petro Poroshenko and former Prime Minister Yulia Tymoshenko. 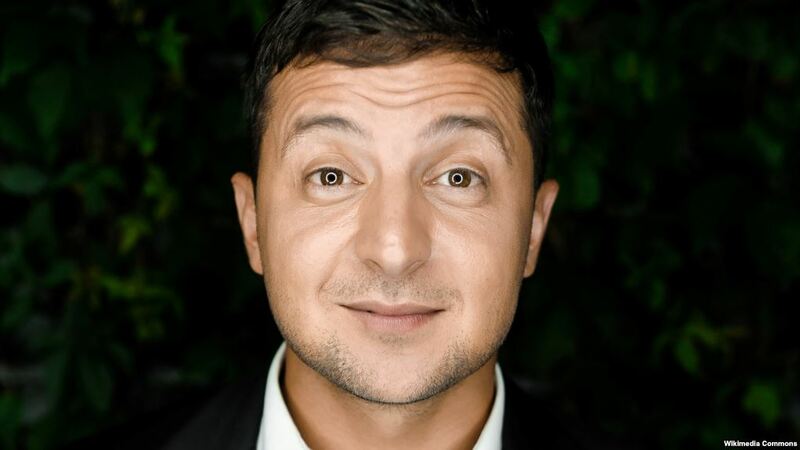 With 21 percent of ballots counted early on April 1, Zelenskyy, who stars on a TV comedy series Servant Of The People where he portrays a regular schoolteacher who becomes president, had 30 percent of the vote, according to the Central Election Commission of Ukraine (ЦВК/CEC). 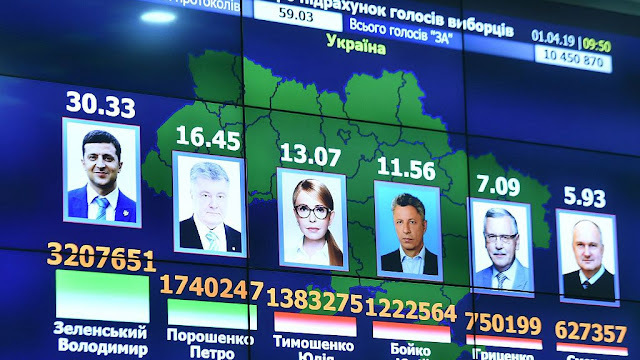 Petro Poroshenko was in second with 16.8 percent of the vote, followed by Yulia Tymoshenko with about 13.3 percent. The numbers corresponded closely to three separate exit polls, which showed Zelenskyy with at least 30 percent the March 31 election. All the polls put Poroshenko in second with about 18 percent, while Tymoshenko followed with about 14 percent. If no candidate wins 50 percent of the vote — which is most likely, polls suggest — the top two will face each other in a runoff set for April 21. Season three of Servant Of The People aired on March 27. On March 30, he narrated a television documentary about another actor who ran for and won the presidency: Ronald Reagan. However, the Kyiv Post called the comparison of Zelenskyy with Reagan wholly inappropriate. As Regan was twice elected President of the Screen Actors Guild (SAG) where he worked to root out Communist influence. In 1962, he became active in the Republican party and supported the candidacy of Republican Barry Goldwater in 1964. In 1996, he ran for and was elected governor of the state of California and served in that office until 1975. Finally, he ran for the presidency and became the 40th president of the United States from 1981 to 1989.